The June 8th general election result delivering 'chaos and uncertainty' instead of 'strong and stable' not only shocked Britain's political and media establishment but also looks like the UK economy suffered a heart attack with confidence fast evaporating as the economy slows down which makes a mockery of the Bank of England MPC clowns persisting in their talk of raising UK interest rates this year. And along with evaporating economic confidence is the confidence in the UK housing market that risks bringing a 5 year housing bull market to an abrupt end! And this is even before we see the chaos that will ensue once Theresa May quits as PM that risks triggering another chaos inducing general election! 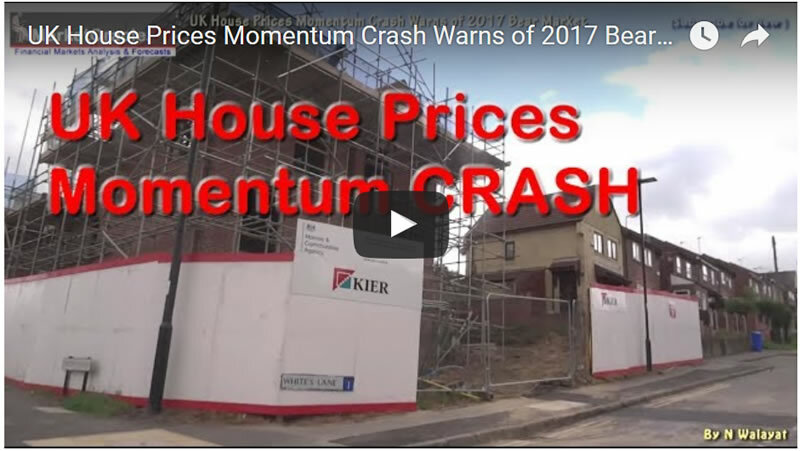 Ensure you are subscribed to my always free newsletter and youtube channel for my 4 forthcoming pieces of in-depth housing market analysis and trend forecasts.